My main take away – Marketers are no longer in the Ad business; they are in the Relationship Business. Brands need to spend less time advertising to their customers and more time connecting with them. Building a brand-to-customer relationship is very similar to someone building a friendship. Both are developed over time with casual, light conversations leading to bigger events. Consumers who visit The Line are first presented with a beautiful image to entice them to engage within content. The whole premise of the site is the antithesis of the hard sale. It’s all about building the relationship by gaining trust through content, leading to the eventual and continuous sale of products. The average transaction on The Line is $500 with some months averaging $850. 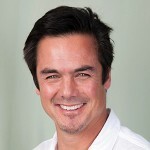 Laston Charriez, SVP of Marketing for Western Union, also understands the value of content creation leading to sales. He realized that his customers were big fans of animated movies so he produced a collaborative, multimedia, and global marketing partnership with the movie, RIO 2. The content captured the attention of customers then led them down the sales funnel. Revenue saw a nice uptick during the campaign. How do I make my customers lives better while remaining relevant to my brand? His answer: Solve their number one consumer bathroom problem–dealing with dirty public restrooms. Laston’s solution involved the creation of Plush Porta Potty trucks that were driven into highly trafficked areas such as NFL football games and crowded holiday shopping areas to make both experiences more enjoyable. These luxury porta potties were the rave of both tailgaters and holiday shoppers who were given the opportunity to avoid ugly public restrooms in exchange for a Charmin Posh Bathroom experience. 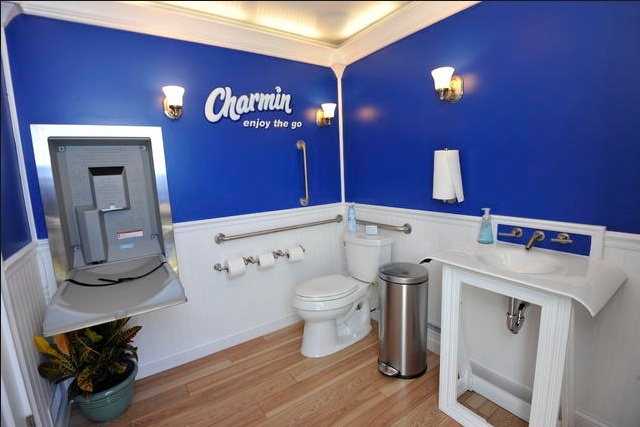 Just like The Line and Western Union, Charmin sought a softer approach to marketing, one that connected with consumers by solving a problem in their lives, leading to more sales and massive word of mouth marketing. “If someone does not engage with it, it’s advertising” (versus more authentic content marketing that builds connections with consumers). To that, I asked him what’s the cost of not answering them and what if your competitor is? I continued, “If someone was in your aisles and asked a question to a store clerk, would the clerk turn his back and walk away? Now think of that clerk turning his back with an audience of 10,000 customers watching. That is social. Think of the risk as well as the lost opportunity of not investing in the Relationship Business.” At the end of the conversation, he seemed to agree. While developing long-term relationships with customers with the intention of sales is nothing new, I think we are at a tipping point where brands are just starting to really get it. Whether it’s delivering Plush Porta Potties or answering every question in social, I believe brands will begin to shift their focus away from delivering an onslaught of inauthentic, self-serving ads and more toward offering value that improves people’s lives, and makes the world a better place. Why should the brand-to-consumer relationship be so different than friendships among people? Should we live in a world where brands advertise, persuade, manipulate and hard sell in order to receive? Or, it is simpler than that – You give, you receive. As marketers, if we can begin to think more about how to make the lives of our customers better while staying relevant to our brands, think of the value we could create while simultaneously, making our brands more loved and much more successful.